The Sunflower Jam 2009 – Photos and Review! The Sunflower Jam 2009 Review. On Thursday 24th September 2009 Jacky Paice in association with Foreign Currency Direct hosted the fourth ‘Sunflower Jam’ at the Porchester Hall, London. The Sunflower Jam 2009 was held in aid of The Holistic Cancer Support and Research Fund set up and run by The Society For Complementary Medicine. Tim Dray beautifully transformed the Hall – this year taking on the theme of a modern day circus. With guests seated at their tables, the delicious three-course meal, prepared by Paul Clerehugh of The Crooked Billet, was served. 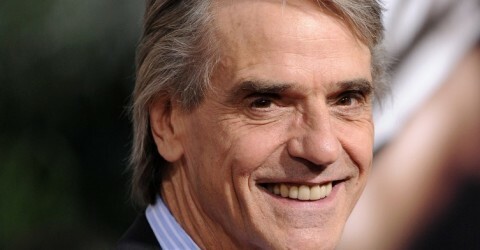 Jeremy Irons, master of ceremonies, took to the stage and welcomed all guests to this year’s event. Moving the evening forward, Jeremy then introduced three fantastic performance artists to the stage: Rubber Ritchie, Marawa and Bruce Airhead. All performers gave highly entertaining and mind boggling performances and really got the room warmed up. Bob Jacobs from SCM and Bob Harris were then welcomed to the stage and talked about the charity, experiences of being treated at SCM and the work that the charity does. 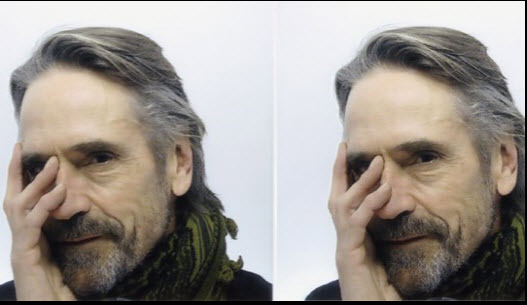 Cue Jeremy Irons back on stage to introduce Adrian Biddell of Sotheby’s who brilliantly conducted this year’s auction and raffle. After lots were won and raffle tickets drawn, there were two giant cheques presented on stage to The Sunflower Jam. The first cheque was from Planet Rock Radio for £5100 that was the result of a one of a kind guitar that was auctioned on ebay with all proceeds going to The Sunflower Jam. The second cheque presentation was from this year’s crown sponsor, Peter Ellis, CEO of Foreign Currency Direct. Foreign Currency Direct donated £35,000 to The Sunflower Jam 2009. The live music kicked off with a guest performance from the incredibly talented singer/songwriter Newton Faulkner. Newton had kindly agreed to perform providided he could make it back in time from a promotional radio show in Cardiff. He literally pulled up outside the venue, ran strait inside and onto the stage and instantly won over the audience with his amazing guitar playing and soulful voice. The set opened with instrumental track, Frankenstein, originally performed by the Edgar Winter Group followed by a rendition of The Stones’ Jumping Jack Flash, with Margo Buchanan’s soaring vocal launching the audience out of their seats and on to the dance floor. From then on in it was a rock and roll dance party like no other, with Dennis Locorriere taking to the stage to play harmonica on The Stones’ Not Fade Away with Margo and proving that he still has one of the best voices in rock with awesome renditions of The Beatles Get Back, his own Sylvia’s Mother and Crosby, Stills, Nash and Young’s, Love The One You’re With. If there was one thing that was missing up until this point it was a good old fashioned sing along, we had no fear. One man we could count on to raise the voices of a well-fed and watered audience was the original London boy himself, Suggs. With gusto akin to a well oiled stag party on a Friday night out, the Madness front man brought the house down with the Madness classics; Our House, It Must Be Love and Madness. During rehearsals there was one name that everyone was talking about… Gary Brooker had brought tears to the eyes of his fellow musicians with his beautiful voice and quiet grace. His renditions of ‘What Becomes Of The Broken Hearted’ and ‘Sweet Soul Music’ were what dreams are made of but it was his performance of his classic ‘A Whiter Shade Of Pale’ that proved one of those life affirming moments and one that will be with us for ever. If the audience thought they had been let of the heavy rock hook then they were sorely mistaken. As soon as Bruce Dickinson walked on stage they knew that their ears were going to take a bashing! With his trade mark scream, Bruce launched in to his own “Tattooed Millionaire” and then followed with energy driven performances of ‘Wishing Well’, ‘Back In The USSR’, The Who’s ‘Wont get fooled again’ and finally finishing with an encore of Led Zeppelin’s ‘Rock and Roll’, featuring both Ian Paice and Karl Brazil on drums. Yet again a huge vote of thanks must go to Wix and Nick Fyffe for pulling all the musicians together during rehearsals and on the night.